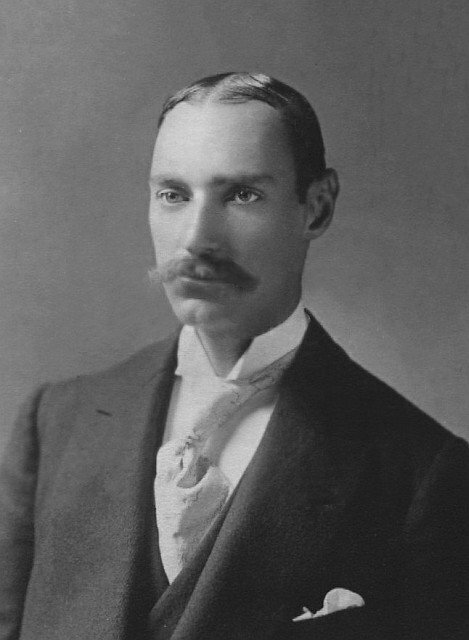 John Jacob Astor IV chose to go to a watery grave in order to save his beautiful and pregnant young wife. Although he was regarded as ruthless and tough, this act of bravery made Americans see him in a different light. Born in 1864, Astor was the grandson of America’s first multi-millionaire and so rich that he didn’t regard having one million dollars as being wealthy! This was an enormous amount in those days. He was the wealthiest man on the Titanic. Educated at Harvard, he founded the luxurious Waldorf-Astoria Hotel in partnership with his cousin, William. He was an unusual businessman, however, because he loved to invent. He invented a bicycle brake, a self-stabilizing steamship chair, and a pneumatic road improver. He also raised and equipped a battery with smokeless powder guns which was used in the Spanish-American War. Astor served in the war and became a colonel. Astor also liked to write and had a science-fiction novel published. Called A Journey in Other Worlds, it concerned straightening the earth’s axis to create a perpetual springtime. He was certainly a man of many parts! The wealthy businessman married Ava Willing and had a son, William Vincent, and a daughter, Ava. The marriage which was heavily promoted by his parents lasted for 18 years. However, it grew increasingly bitter and acrimonious and there were accusations of infidelity on both sides. The couple eventually divorced. Scandal erupted when Astor, who was over 40, fell in love with an attractive young woman who was a year younger than his son! He and Madeline Talmadge Force had great difficulty finding a clergyman to marry them. Eventually they succeeded but the marriage took place at The Beachwood, an old Astor estate, instead of a church. Madeline also chose not to wear white. The couple escaped overseas to get away from the rumours and gossip which surrounded them. They travelled to Egypt and Paris but when they discovered that Madeline was pregnant they decided to return home. They wanted the child to be an American. The couple booked a first-class voyage on the Titanic. Legend has it that Astor wanted a place in the lifeboat with his wife but he showed good grace when he was turned away. However, the crew member said that Astor asked what the number of the lifeboat was. He may have intended to complain later. According to other passengers and crew, after his wife got into the lifeboat Astor put as many women as he could into lifeboats and even tried to save the dogs on board. Astor’s son was so upset about his father’s death that he wanted the wreckage of the ship raised so that he could find his father’s body. John Jacob Astor's second son was born in August, 1912. There is something extremely tragic about a newly married couple sailing home to have their first baby surrounded by loved ones. Of course he was rich beyond compare, but his young child was still born as an orphan. Presumably there where equally tragic stories in 2nd class and in steerage. Don't worry. Just a typo! Thanks, Hels.